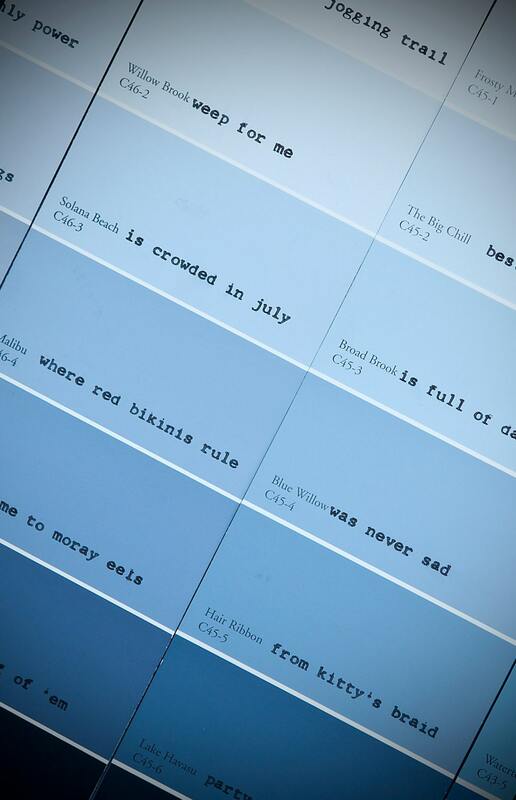 Paint chip samples with festive names for paint colors. Always fun. So why not add a kitschy phrase or word play? Done! 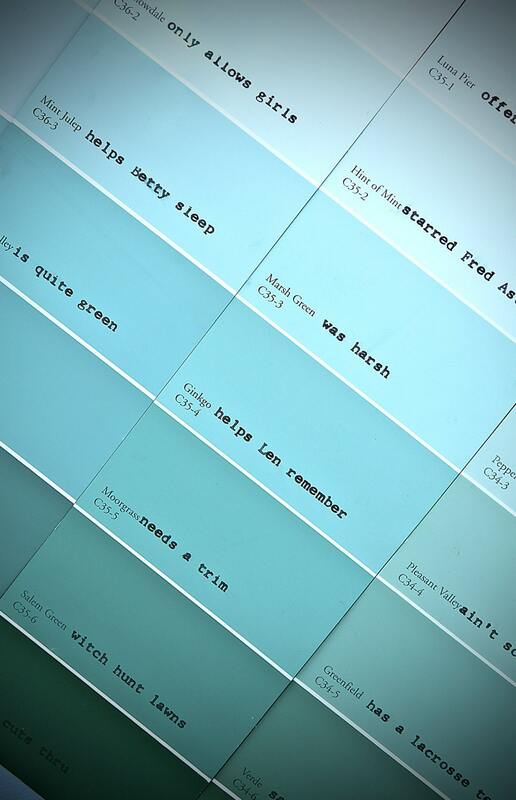 This Blue/Grey/Green sweep of color samples have sometimes hilarious, occasionally touching phrases hand typed using a 1973 Electra 210 electric typewriter. A crowd pleaser. A design beauty from afar and a conversation piece up close. 105 total phrases. Professionally framed in a gorgeous slightly distressed pewter frame with museum glass for optimum viewing experience. Perfect for home, hotel, restaurant or gallery.